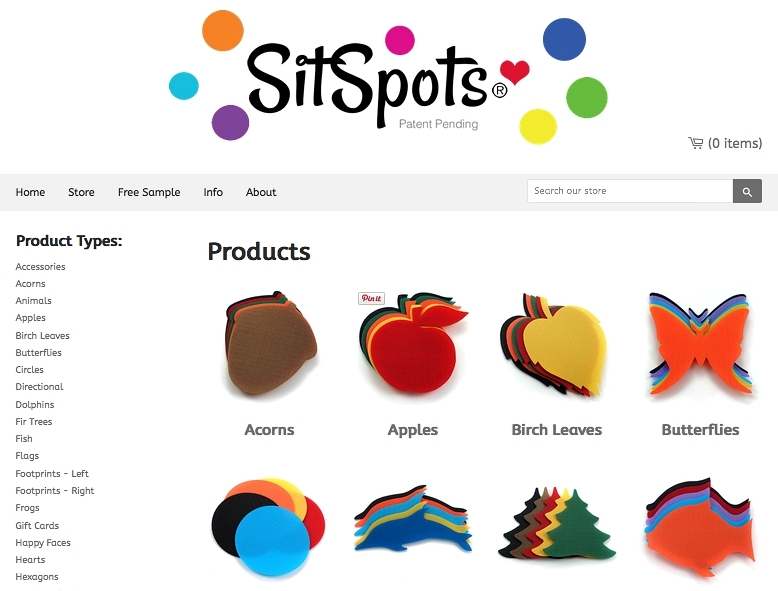 It’s always exciting to win a prize in a raffle but to be honest, I was a little disappointed when I learned that what I’d won at the recent TeachersPayTeachers Blogger Meet Up was a product for kindergartners, something called SitSpots. Kindergarten was the grade I found most challenging and I much preferred working with the older middle school students. But there was a note inside the package that invited me to check out their booth in the exhibitors’ hall and I’m so glad I did! As promised in Monday’s post, below are 4 ideas for how to use SitSpots with older students. But first I want to explain a little about how SitSpots work. They are thin plastic shapes that are intended to adhere to a classroom carpet. The website says they will also stick to some area rugs. They don’t have glue on them but rather one side is like a mesh with very small bristle-like protrusions that, when pressed into the carpet, keep the SitSpot in place. 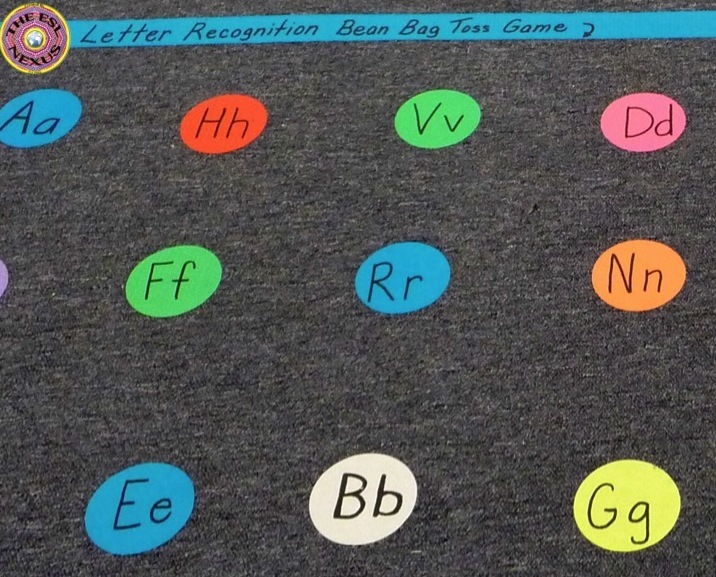 Idea #1: Instead of doing a letter recognition activity, as pictured below, do a parts of speech activity. On different SitSpots, write the initials or abbreviations for the parts of speech: N for noun, V for verb, Adj for adjective, Adv for adverb, P for preposition, A for articles (a, an, and the) or D for determiners (whichever term you use), and C for conjunction if that is a familiar term to students. Lay out the SitSpots on the floor in a random fashion. Call out a list of words that you’ve decided on ahead of time and have students take turns throwing a bean bag or similar item onto the correct part of speech. This would be a great way to review new vocabulary words. Students could do this individually, in pairs or small groups, or as teams. At the discretion of the teacher, points can be awarded and prizes given. Idea #2: For older students, instead of doing a “sum of the day” activity such as the one shown below, they could do something more advanced with math. 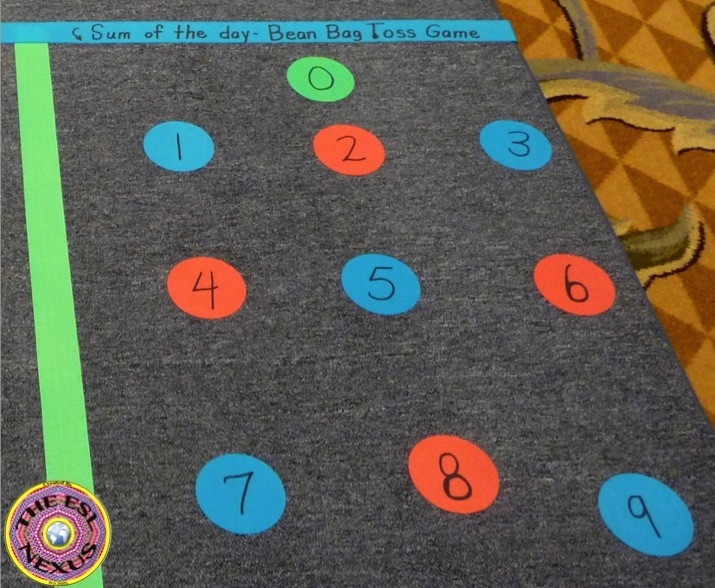 For example, numerical answers to word problems could be written on the SitSpots and students would have to solve the problems, then toss a beanbag onto the correct answers. Other students could decide if the answers are correct. Or the carpet could be divided into a few sections, with the same SitSpot answers in all of them, and teams could compete to see who could correctly answer the fastest. Idea #3: I’m not sure but I suspect this last photo is showing an activity for recognizing sight words. While suitable for lower elementary students, middle schoolers could instead be asked to identify people and places they have learned about in social studies. On several SitSpots, write the initials of famous people and the first letter or letters of places the students have read about and then read short descriptions of those people and places. The students have to correctly identify them by tossing a beanbag onto the right SitSpot. This would be a great way to review before a test. Idea #4: For a science activity, the elements in the periodic table could be written on SitSpots. Then the teacher reads a short description of the elements or examples of how the elements are used and students toss beanbags onto the correct SitSpots. Below are two of my TpT products that are examples of the kinds of vocabulary words that can be used for Idea #1. The second product also includes the names of many people and places that could be used for Idea #3. 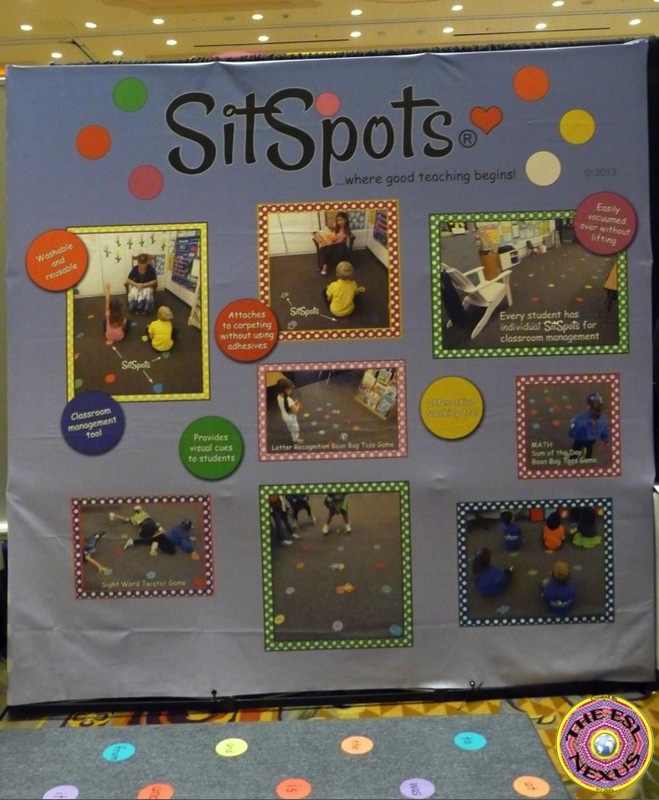 Have any of you used SitSpots in your classes? Do you have other ideas for how to use them? Please share your suggestions in the Comments section below.